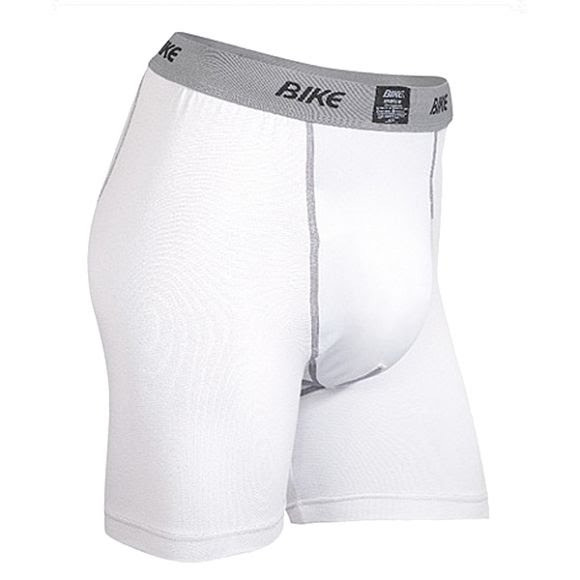 The Bike Performance Cotton adult boxer/cup combo provides protection and freedom of movement for athletes in high-impact sports. The boxer is constructed with a blended cotton/spandex fabric, a Dri-Power cup pouch, and packaged with a Bike athletic cup. The Bike adult athletic cup provides protection for athletes in high-impact sports. The Bike Performance Cotton adult boxer/cup combo provides protection and freedom of movement for athletes in high-impact sports. The boxer is constructed with a blended cotton/spandex fabric, a Dri-Power cup pouch, and packaged with a Bike athletic cup. The Bike adult athletic cup provides protection for athletes in high-impact sports. The cup is constructed with soft edges for added mobility and comfort, air holes for ventilation, and antibacterial finish to fight odor. The cup pouch on this supporter utilizes Dri-Power technology to help keep you cooler and drier. Openings in the garment in key location to allow heat and odor to exit to keep the athlete cooler and more comfortable. Manufactured to help control odor-causing bacteria so you can exercise and play harder.